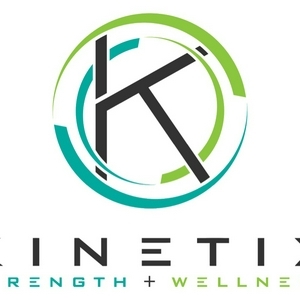 For members of the Kinetix community, connect with your coaches, each other as well as professionals that can help you improve and empower your ability to impact your own health, wellness and happiness. Today we bring our first guest on, Dr. Sarah Penkin is here today to discuss injury, our responsibilities in training, empowerment and more. Enjoy our first podcast with a guest...we did get cut off which I apologize for but there’s still a lot of great stuff here so enjoy! Today we discuss what Active Recovery Days can and should look like, different ways you can approach them and common faults that we see from individuals when it comes to taking that “Active Rest/Recovery Day”. This episode we are chatting about building healthy habits that can become automated behaviors. Talking about movements that you don’t see in group programming at KINETIX...and why you don’t see them. We’re chatting about Aerobic Training...what is it? why do it? Vs anaerobic Training? Why are Thursdays important at KINETIX? Today we chat a little about how to think about your approach to training, why behind KINETIX, challenging the thought that you NEED CrossFit in order to challenge yourself and improve, and what exactly is CrossFit? Listener request for me to ramble about mindset a little...hopefully this get y’all thinking a bit about how you approach your training and your life. Filling in those of you who couldn’t make the meeting at the gym in regards to our upcoming move. Take a listen, note any questions you may have and get ready for some exciting changes coming soon! A little mindset chat today about being confident in what you know and willing to ask and learn about what you don’t know. Also a friendly reminder to attend the “Town Hall” meeting this Saturday 12/1@10:30am at Kinetix (BoomTown). Going over the weeks training plan, covering some general ideas and setting you up for success in your upcoming training. If you have follow up questions or more specific questions let us know and we can cover them in future episodes.